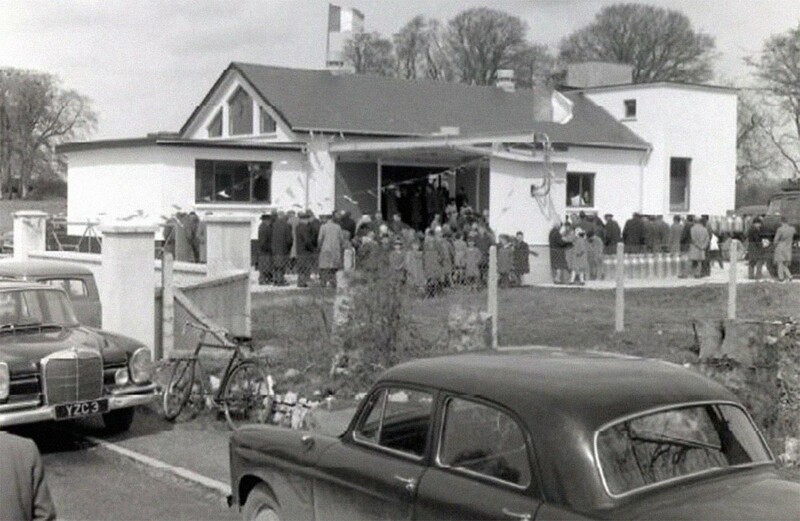 The area where the milk stand is located had been a central meeting place in the village for many years. Therefore it naturally became the central collection point for milk cans being sent to the local creamery in Athleague. The present raised concrete platform which has ‘Aug 1967’ inscribed on it was built to facilitate the easy movement of cans from a wheelbarrow or other means of transport to a secure place to await collection by the creamery and to avoid accidental spillage. The local farmers supplied the necessary materials and labour to erect the stand. 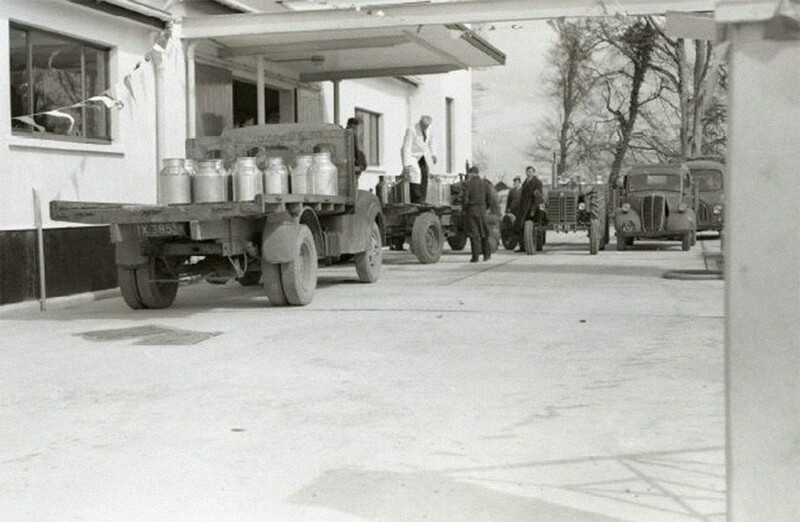 Milk collection was daily during the summer months and every third day in winter between 9:00 and 10:00 a.m. In hot weather cans were kept cool by placing them in a stream which flowed from an adjacent village spring well. Alternately some farmers placed their can in a barrel of cold water. At the beginning the creamery sent a tractor and trailer to collect the cans. A lorry, which had a refrigerated tank later replaced this, and the farmers eventually replaced their cans with small tanks on wheels. Supplies began in the early 1960s and continued until the mid-1990s. Towards the end only one supplier remained and eventually the milk stand became redundant. To mark the sociological significance of the milk stand to the local community, the Golden Jubilee Trust funded the community to erect a signage project with a proposal to integrated it into a community organised walking trail.